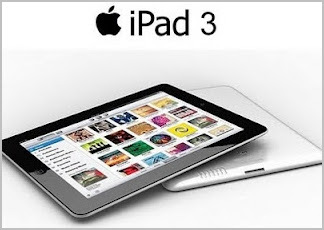 Apple announced the most expected new IPad 3 releasing after the success of IPad 2. Apple really upgraded some hardware updates and added 4G LTE technology to use internet faster. This new IPad 3 version comes with two models are Wifi and Wifi+4G. Apple’s third generation Ipad 3 has amazing Retina display of 3.1 million colors which is best one compare to previous versions. It makes better quality display when seeing text, photos, and colors. There is another important feature is 5MP iSight camera with advanced optics technology. There are no changes in price of wi-fi models. They remain same as IPad 2 prices but 4G LTE models are updated with new prices. 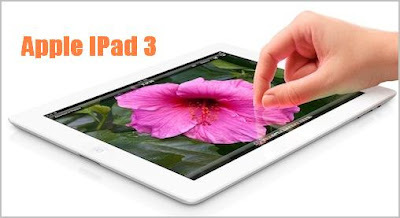 How to Pre Order your IPad 3? Ipad 3 will be available in Apple retail stores from on March 16 in some countries and on March 23 in some countries. Now bookings started for Ipad 3, you can pre order your Ipad 3 in online. Simply go to this Apple IPad site, select your model and continue to payment method. Delivery starts from March 16, 2012. Apple not announced yet for India.